When will be The Conspiracy Show next episode air date? Is The Conspiracy Show renewed or cancelled? Where to countdown The Conspiracy Show air dates? Is The Conspiracy Show worth watching? Many believe that there are things in this world that aren't made public that the average person isn't supposed to know about. The truth may be hidden, but there are some people, like host Richard Syrett, who investigate these conspiracies and try to uncover the secrets. ``The Conspiracy Show'' examines claims of supernatural creatures, political cover-ups, medical discoveries, extraterrestrial life, paranormal phenomena and other unexplained mysteries. Using interviews with top researchers, skeptics, independent thinkers and authors, Syrett is determined to uncover the truth to some of the most extraordinary claims of conspiracy. Some JFK assassination researchers believe JFK's murder was a coup d' tat. Richard speaks with cryptozoologists about pterodactyls in remote places such as Papua New Guinea. Richard investigates claims that crops made through genetic modification may be unsafe to consume. A look into the safety and efficacy of putting fluoride in the water supply. 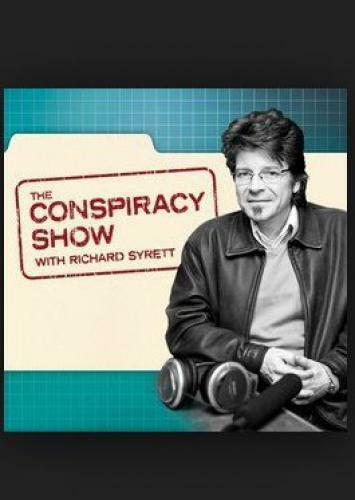 The Conspiracy Show next episode air date provides TVMaze for you. EpisoDate.com is your TV show guide to Countdown The Conspiracy Show Episode Air Dates and to stay in touch with The Conspiracy Show next episode Air Date and your others favorite TV Shows. Add the shows you like to a "Watchlist" and let the site take it from there.